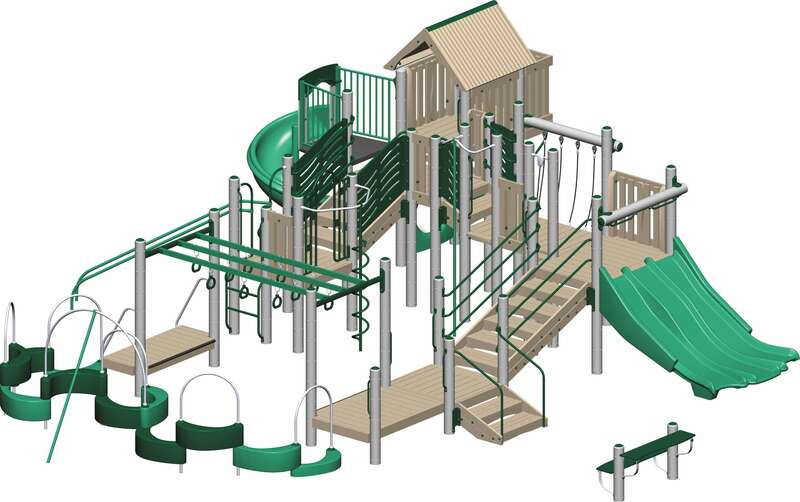 The Legacy play system is ideal for any adventurer aged 5 to 12. 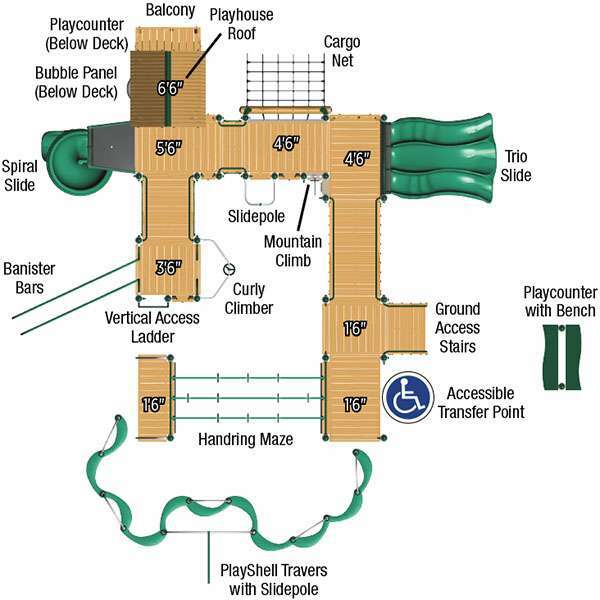 They will have a blast on all fourteen activities including; the Vertical Access Ladder, Banister Bars, and Spiral Slide. Excitement will ensue as they run under, over and through this high capacity structure.